It has been a very busy summer at the MSU Archives. Before we get started on what is to be a fun and productive fall, let’s recap a few of the big events of the summer. We have been participating in the Alumni Association’s Grandparents University for many years, and it’s always a rewarding experience. This year we taught one session titled “College Then and Now” to 17 grandparents and their grandchildren. They enjoyed a short presentation about college life through the years, and got to peruse scrapbooks created by students in the 1910s. Many participated in fun activities like making postcards, writing letters with dip pens, and using a typewriter. As part of Grandparents University, the Alumni Association held a Green and White Night tailgate in the courtyard between Akers, Hubbard, Fee, and Conrad Halls. It featured food, music, games, and a giant inflatable Sparty. The MSU Archives hosted an open house during Green and White Night. Approximately 75-100 people dropped in to view materials from our collections, and to chat with the archivists. We had a scavenger hunt style trivia contest, where participants hunted for answers in the displayed materials. This year the Alumni Association invited us to host a tour for Alumni University. Twenty-five enthusiastic alumni came to the archives to tour the reading room, staff area, and a display of materials from our collections. Unfortunately, the bus driver got lost on the way and the group arrived late. As a result, we did not have time to show them our high-density storage area. The group was very engaged in the photographs, documents, ephemera, and other materials on display. They also asked many thoughtful questions. We also created a pop up exhibit for the hospitality room at the Kellogg Center for Alumni University. We filled the room with reproductions of photographs and publications from the mid-1960s through the early 1990s. Alumni were asked to jot down a few memories of their student days at Michigan State to be preserved in the MSU Archives. Thanks to the MSU Department of Economics, the papers of Anthony Y. C. Koo are now available to researchers in the University Archives & Historical Collections. Professor Koo, a native of Shanghai, grew up in a family that was open to Western ideas, unusual in China at the time. He graduated from St. John’s University, a highly-respected institution in Shanghai which had both Chinese and Western students. He then came to the United States, earning a master’s degree at the University of Illinois before completing a doctorate in economics at Harvard. The majority of Professor Koo’s papers concern his appointment as an advisor to the Chinese delegation of the Far Eastern Commission, which was formed by the Allied Powers in 1946 to develop the policies and principles which would guide the post-war occupation of Japan. The Commission included representatives from the United States, the United Kingdom, the Netherlands, and France; Australia, Canada, and New Zealand; India, the Philippines, the Soviet Union, and the Republic of China. The Far Eastern Commission papers provide a little-known perspective on the complex regional and global politics of the late 1940s, and the economic challenges facing Japan after the war. The material will be a valuable resource for students and researchers in history, international relations, and Asian studies. Professor Koo worked with the Far Eastern Commission until 1950, when he joined the economics faculty at MSU. He was honored with the Distinguished Teacher Award in 1956 and the Distinguished Faculty Award in 1976. Both Professor Koo and his wife, Dr. Delia Koo, were enthusiastic supporters of MSU, and the academic wing of MSU’s International Center is named in her honor. Professor Koo died in 2011. When most people think of an archive, they naturally gravitate to images of faded photographs, journals of soldiers from past wars, silent film reels, and the like. And it’s true – the Archives here at Michigan State University is full of such vital remnants of our cultural legacy. However, our society is now generating another type of legacy – a digital one. One made up of computer files and digital media. 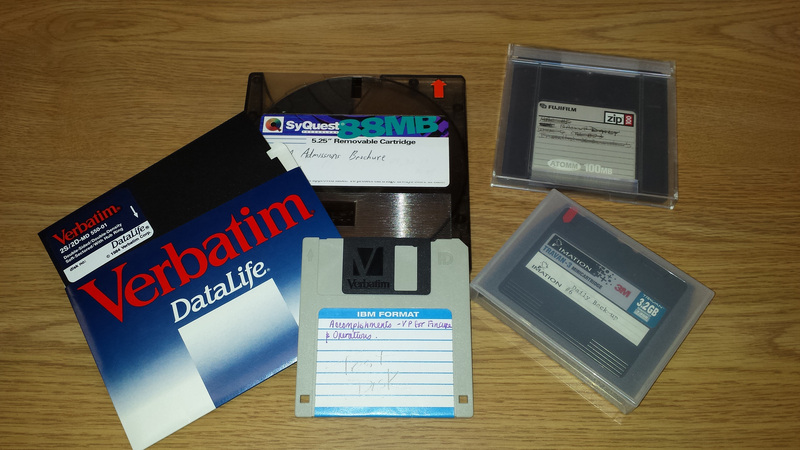 What’s surprising to most people is that this legacy and these digital items are actually in danger of disappearing far sooner than your grandmother’s photographs from the 1930s. 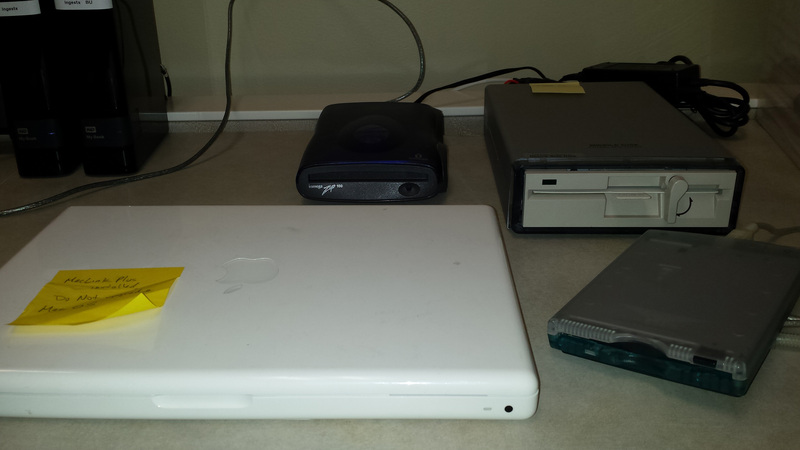 One of the biggest reasons, and the one that I am going to explain here, is obsolescence. This is a subject familiar to anyone over the age of 30 who grew up playing video games and waxes nostalgic over the old Nintendo cartridges, or even Dreamcast discs, that can no longer be readily played. Obsolescence occurs when new technologies are developed, making the older ones, well, obsolete. As the rate of changeover between newer technologies increases, as we have seen it do over the past few decades, digital materials created on older technologies can become lost when their media can no longer be accessed or if the software they were created with is no longer supported. I’ll give you two examples in one. Your father wrote a book on his Mac twenty years ago and saved it to a floppy disk. If you wanted to scrounge up that book and launch your father to the top of the New York Times Bestseller list, you’d have a bit of work ahead of you. First of all, you’d have to find a machine or use an adapter to read that disk. Computers nowadays don’t even have floppy drives. Second, the program that he used to write that book was probably discontinued fifteen years ago. The file will need to be converted if a newer program cannot read it. This is where Electronic Records Processing comes into play. A lot of what we do at the University Archives is to rescue old files from media, and take steps to make them accessible in today’s technological environment. In addition to saving old files from old media, we also proactively take current files and, if necessary, put them into formats that industry professionals believe will be usable for some time. Once that is done, we store them in accordance with established preservation standards. Consequently, we also work with files from CDs, DVDs, downloads from the web, and flash drives. Because of the ephemeral nature of digital formats and platforms, taking steps to safeguard files created today is just as important. There are a few simple actions anyone can take. The first is to back up your files! One threat not mentioned so far is us – our own mistakes; things just sort of get deleted and then that’s it. They often cannot be saved. 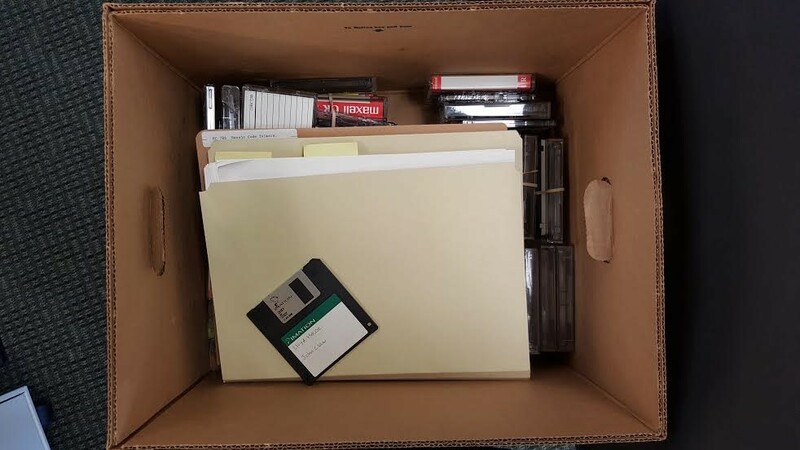 Accidentally deleting your one and only hard drive (if you aren’t a forensics whiz kid), is the equivalent of burning down your file cabinet in the “old days”. Take care! Second, proactively labeling, dating, and organizing your files makes keeping track of, and migrating them, much easier. Going in, checking on your files, and copying/moving them to updated media every few years will also help to protect them from degrading over time. 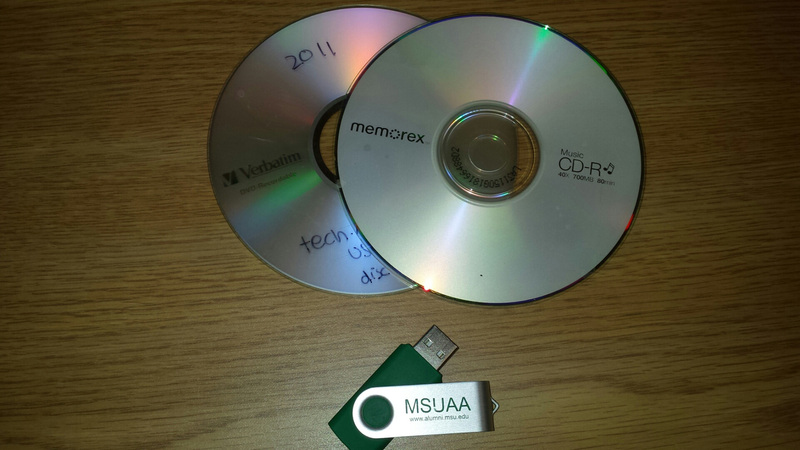 For more information on protecting the longevity of your files, you can refer to our 8 Good Practices in Creating & Maintaining Electronic Records guide (http://archives.msu.edu/records/practices.php?records_erm_practices). For more general information on Electronic Records Management at UAHC, check out our website, Electronic Records Management (http://archives.msu.edu/records/ermanagement.php?records_erm). In 1973, Doris A. Paul released a book called The Navajo Code Talkers, about a group of men from the Navajo tribe who used their native dialect to transmit secret messages that could not be decoded by Japanese troops during World War II. Two years earlier, she and her husband (armed with a tape recorder), recorded interviews with many individuals involved with the transmission of these secret codes. In 1995, Paul donated the tapes (along with some transcripts) to the Michigan State University Archives & Historical Collections (her husband had been a lecturer at Michigan State). Twenty years later, these tapes have been digitized for posterity. Thirteen cassettes were in the collection; twelve of the 1971 interviews, and one from a banquet in 1975 honoring the Navajo Code Talkers for their efforts during the war. 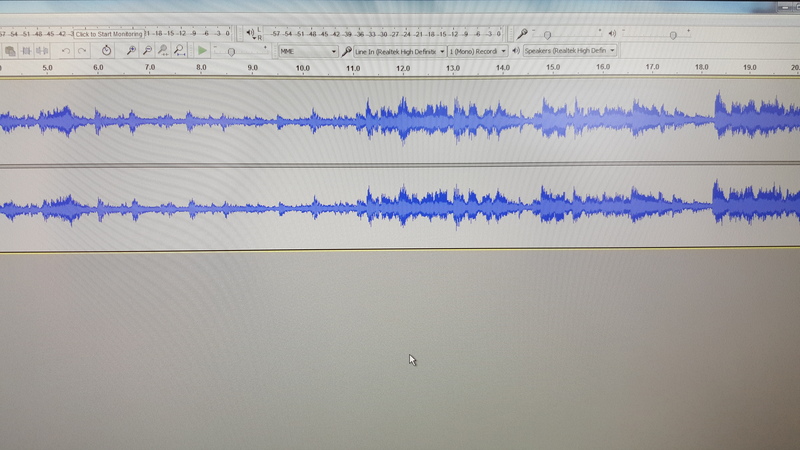 The original cassettes are once again stored away, and the digital audio files will allow listeners to learn about the efforts of the Navajo Code Talkers, in their own voices. Interested in hearing the interviews? Contact the MSU Archives to make an appointment to listen to the newly digitized recordings. 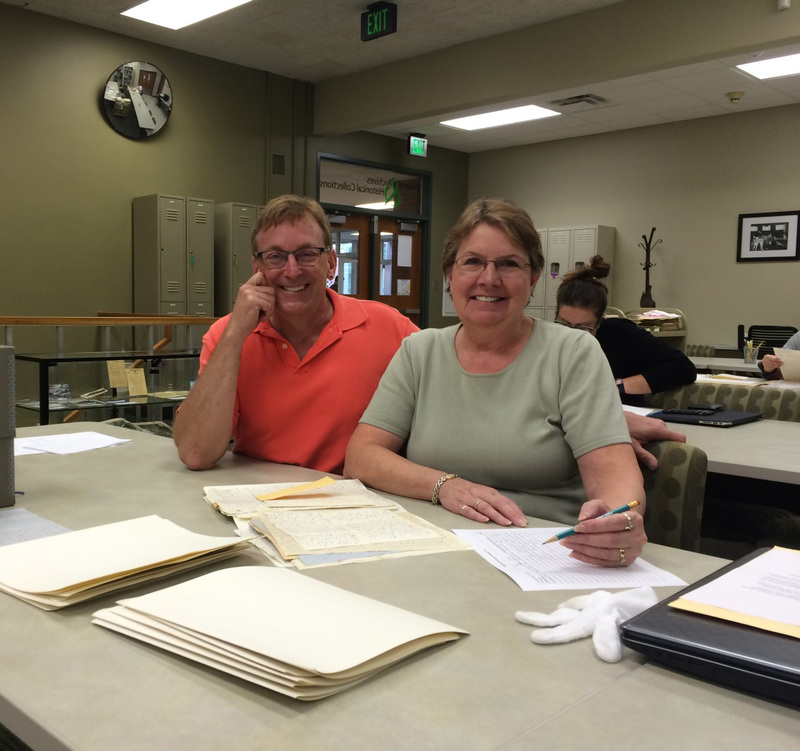 On Monday, October 5, John Lambertson (a retired archivist) and his sister Lois Wain, visited the MSU Archives to research their family through the Lyman Family Papers (collection 00128). They are descendants of Liberty and Lucinda Lyman. The Lyman family papers include correspondence, diaries, property deeds, newspapers, photographs, and other materials for the family of Liberty Lyman and Lucinda Sikes Lyman covering the years 1812-1910. The bulk of the family correspondence consists of letters to Lucinda Lyman from her sons and daughters, as well as letters from friends and relatives in Massachusetts. James Lyman’s diary of 1863-1864 is useful for details on Civil War campaigns. This diary will be soon transcribed, scanned and placed on our Civil War Letters and Diaries website. During the visit, John also donated photographs and other materials pertaining to the Lyman Family that will be added to the collection.